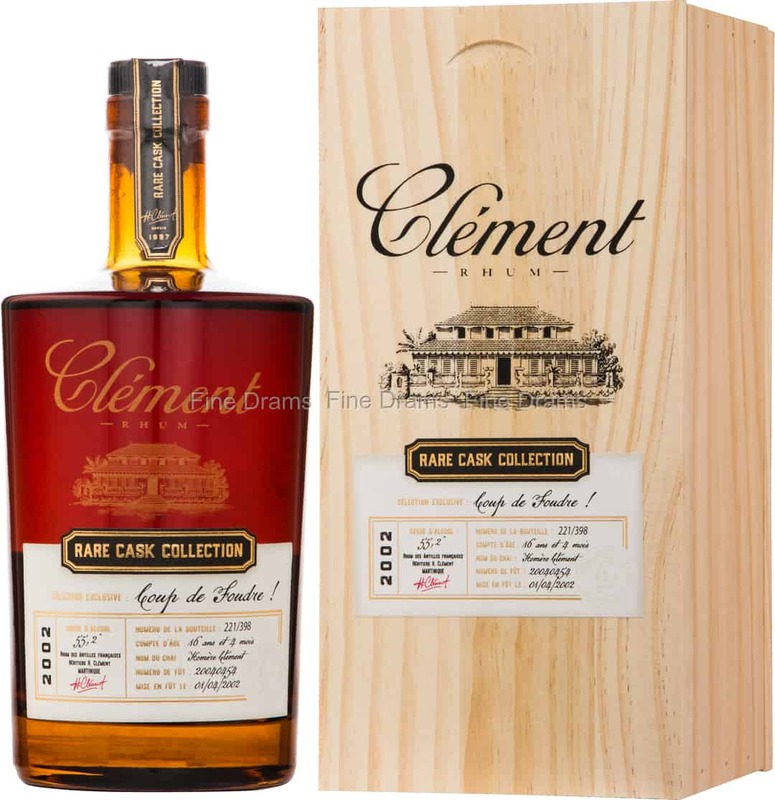 A truly extraordinary offering from stellar Rhum Agricole producer, Rhum Clément. “Coup de Foudre!” translates as ‘Love at First Sight!’ something that will certainly be true for any rum fan who claps their eyes on this bottling. Made with cane grown on the Habitation, this is pressed for its juice, which is then fermented before distillation. It is this process that gives Rhum Agricole its unique fragrant character, different to the more common molasses-based rums. Not only do Clément produce a high quality of spirit, they also provide plentiful information on the label, which will satisfy the rum aficionados out there. This rum has been aged for 16 years and 4 months, having been distilled on the 1st of April 2002 (no April Fools here though). The distillery even provides the cellar the cask was matured in, in this case named after the Habitation’s founder, Homère Clément! The rum itself serves up delightful notes of cedarwood, toffee, vanilla, pressed flowers, dusty old oak, dark chocolate, creamy dark honey, brown sugar, lime cordial, grilled pineapple, dried mango, nutmeg, cinnamon and tobacco smoke. Bottled at 55.2% ABV and without chill filtration or artificial colouration, this is one of the finest bottlings in Clément’s proud history of distilling. Not to be missed, just 398 bottles are available worldwide.